What Are The Glow Plugs Trouble ? The glow plugs they get red hot! And they can cause difficult cold starting. This is a symptom that one or more glow plugs may need replacement. The glow plug they can’t be maintain but eventually they need replacement. The glow plugs are the most important in your diesel engine, because they allow the engine to start when is cold. Diesel fuel is ignited when injected into compressed/hot air (in the cylinder) That mean the glow plugs help get the engine started when is cold by warming the fuel; once the engine is running the glow plug are not needed until the next ‘cold’ start. Check this glow plug trouble right here to avoid spending more than you need. Are your car diesel engine glow plug look like one of the trouble. Then replace your glow plug. How The Glow Plugs Works ? The spark plug are replaced in your car diesel engine with glow plug to ignite the air/ fuel mixture. If your car diesel engine do not start or may be some cylinders not fire, that mean you need to replace your glow plugs. But just remember to ensure the connection wires that give current to glow plugs are working properly. If you do that you can save money and you don’t give chance to your auto mechanic to ripe you off by charging you for glow plugs replacement but the problem was bad wire connection. The easy way to test your glow plug they working is to connect the power from your battery. They must be glow red and hot, if not change your glow plugs. They are two types of the glow plugs ceramic and metallic. A ceramic glow plug has probe made from high performance ceramics instead of a metallic sheath. The ceramic glow plugs can reach temperatures 1000 C higher than metallic glow plug. On the glow plug you find insulating sleeve to eliminates risk of short circuit. Coated shell and terminal for exceptional corrosion resistance followed by composite rubber seal to maintain precise, reliable seal to protect the coil from air corrosion. The magnesium oxide coil insulation densely compacted poweder gives exceptional electrical insulation. You find regulating coil controlling the temperature rise to give fasted possible warm up. The heat resistant alloy sheath absolute reliability even in extreme conditions. There is laser welded connection between coils guarantees precise location of coils in sheath and resists vibration damage. The most important is heating coil, fast starting in cold conditions maintaining high temperature after the engine start-up for reduced emissions. The end is reduced tip providing higher thermal efficiency for improved performance. Why Replace The Glow Plugs? The service life of the glow plug can vary depending upon the frequency of use and the climatic conditions. 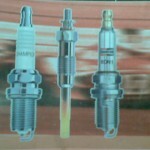 The glow plugs wear out, and to start your car engine become more difficult and the emission may increase. The glow plugs can cause your car engine do not to start at all. So to prevent this problem happening it is better to replace all the glow plugs at set interval. The new long post heating glow plugs uses less current to reach a higher temperature quickly. This means less pollution, better efficiency and reduce fuel consumption. When its come to replace your glow plugs is to work same to spark plugs. When one glow plug has reached the end of its service life the other plugs will be in a similar condition and will shortly need to be replaced also. My advice to you it is more cost effective to replace all the glow plugs at once whilst the power rails and connection lines are already removed. 15/01/2012 Posted by Fouzi Bach | Uncategorized	| air fuel mixture, car diesel engine, Car Symptoms, Diesel engine, electrical insulation, Engine, Engine tuning, Fouzis Service Centre, Glow in the Dark, Glowplug, Insulators, Internal combustion engine, Novelty, performance ceramics, resistant alloy, Shopping, vibration damage | Comments Off on How Glow Plugs Work? The spark plugs are devices similar to glow plugs which are used in igniting the fuel on small combustion engines normally utilized in model aircraft, model cars and comparable applications. The ignition is performed through resilient, generally platinum, spiral wire filament buried in the tip of the plug. When electricity runs through the stopper, or when subjected to the warmth of the combustion chamber, the thread-like object glows, which will enable it in igniting the unique, fuel being used by the engines. Energy may be applied with the use of an extraordinary connector attached to the exterior of the mechanical device and can utilize rechargeable battery or may use DC source of power. Glow fuel normally is made up of methanol having changeable levels of nitromethane substance as oxidizer intended for superior power, normally between five to thirty percent of the entire blend. The lubricating method is a “total loss” type, which means that the lubricant is driven out from the drain after flowing throughout the engine. When the fuel gets in touch with the warm substance of the spark plug, ignition will occur. The wire stays hot, between rubs of the engine and continues to glow partially because of thermal sluggishness, but mostly because of the catalytic ignition response of methanol which remains in the platinum thread. This maintains the warmth of the filament, permitting the ignition of the next charge, hence supporting the power series. Several engines of aircraft are designed in order to operate on fuel without nitromethane content at all. Technically a model engine is somewhat comparable to diesel engines and hot bulb engines since it utilizes internal heat in the ignition of the fuel, but because the combustion timing is not restricted through fuel injection (like in usual diesel engine), or by means of electrical power (like in spark combustion engine), it should be attuned by change of fuel/air mixture as well as coil/plug design normally through the adjustment of several inlets and also controls in the engine. A richer combination will have the tendency to chill the filament to delay the ignition which will cause the slowing down of the engine. 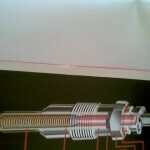 This design can be adjusted also by the use of various plug designs for additional exact heat control. The flush plug engines resemble mostly the hot bulb engines since the ignition of both types occur because of the “hot spot” inside the combustion chamber of the engine. These engines may be designed in two-cycle process (ignition each rotation) or four-cycle process (ignition in every 2 rotations). The two-stroke model produces extra power; however, the four-stroke engines possess more low-end rotation, less noisy and have lower pitched and more sensible sound. I, Fouzi thank you for subscribe and visit my website. My Car Symptoms, is my new free e-book subscribe now . The part one ( How You Diagnose Your Car Problem To Save Money ) is Free for you is limited edition. If your car is in need for Engine or glow plug replacement contact me at Fouzis Service Centre for free quotation and prices. I’ am RMI and warranty insurance accredited. I, have special on Engine overhaul, 20% discount plus free wheel alignment. Visit this auto parts store for glow plug and car engine parts prices click here.